Philadelphia 76ers basketball legend Julius "Dr. J" Erving is the gift that keeps giving to Philadelphia sports fans. 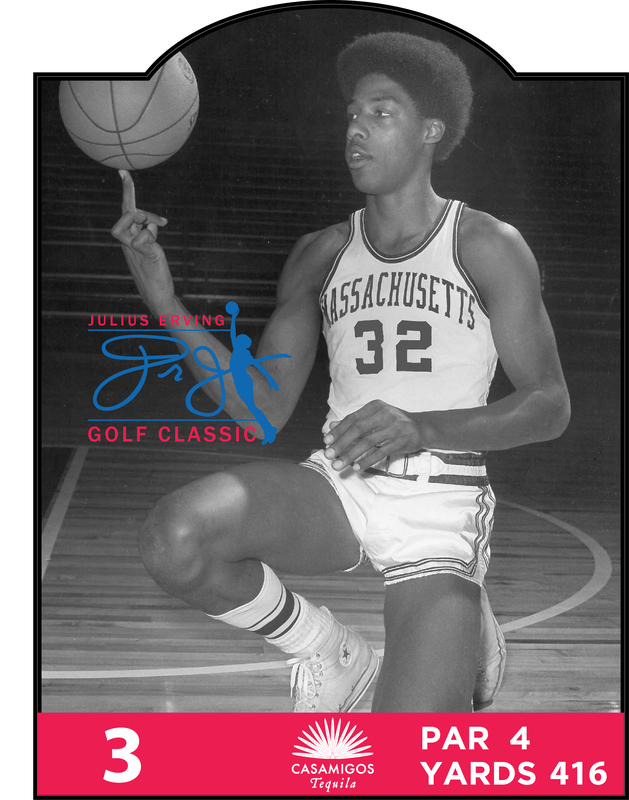 The Basketball Hall of Famer returns to Philadelphia for the Julius Erving Golf Classic September 12-14. The weekend will feature a basketball clinic, celebrity golf tournament, and VIP Ball to benefit the Salvation Army of Greater Philadelphia, Dorys Erving Fit Youth Foundation, and other charities. With the Sixers ending last season with one of the worst records in the league, the return of Erving, who now lives in Atlanta, to Philadelphia may be the best news Sixers fans have had in a long time. He even offered fans a glimmer of hope. He said, "For 11 years I played with one NBA team, my pro career was longer, but I spent great years with the 76ers franchise and in the city of Philadelphia. Hopefully we have a positive effect and can also help with rebuilding of the franchise." ESPN's Sports Center Anchor Jay Harris and professional golfer Seema Sadekar are co-hosts of the weekend with Dr. J. Celebrities including Charles Barkley, World B. Free, Reggie Jackson, Cedric the Entertainer, George Lopez, Vivica Fox, Richard Dent, and Alan and Tanya Thicke, will attend the gala at the Rittenhouse Hotel. The golfers that play the course at Aronimink Golf Course will be treated to a different highlight of Erving's career at each hole; 2 of which the Huffington Post exclusively previewed here. Saturday's basketball clinic for Philadelphia area youth at the Salvation Army's Ray and Joan Kroc Center will be a family affair. Erving, his daughter Jazmin, who is founder and executive director of the Grab A Ball & Play Foundation, as well as Sixers coaching staff will participate. Grab A Ball & Play will distribute signature Erving basketballs to all the children participating. While most of us are familiar with the Salvation Army from their volunteers soliciting donations during the Christmas holiday season, Erving has a more personal connection. The basketball program at the Salvation Army was the future MVP's first opportunity to play on a team. "The Salvation Army is an institution that is set up to do good and provides opportunities for young men and women to experience more than if they weren't attached," said the basketball icon. "As a member, I was able to travel to different areas and see new places playing basketball, and I knew I wanted to see and do more." Several other future stars of the sports and business communities, such as American Express CEO Ken Chenault; former NFL player and current Oakland Raiders wide receivers coach Rob Moore; and executive vice president and general manager of the New York Knicks Steve Mills, also participated in the same Salvation Army basketball program. A large part of the program's success was due to Don Ryan, Erving's former coach. Ryan started coaching the team when he was a student at Adelphi University and is still coaching at the age of 72. When the Salvation Army was forced to cut the basketball program due to budget constraints, Ryan did not give up but started the Hempstead Dons to continue teaching basketball to Hempstead area youth. He repeats a 9 word mantra to inspire the youth: integrity, character, discipline, effort, courtesy, standards, fitness, fun, and friendship. Ryan, who has been the subject of fawning New York Times profiles for his coaching success, calls Dr. J the No. 1 ambassador of the Hempstead Dons. The team is one of the charities that will benefit from the Julius Erving Golf Classic. He said, "We take the 7th graders, 12 years old, on a road trip to Atlanta every year during spring break. The highlight is the Dr. J Classic, round robin of 3 teams, held at the Salvation Army Kroc Center in Atlanta. Julius gives an inspirational talk to the team talking about the importance of character and integrity." To Erving, he is simply repaying his old coach. He said of Ryan, "His perspective on life, teamwork, sportsmanship, leadership, all these things I hold true today. He made us leave home with a book and a basketball, schoolwork was always important."